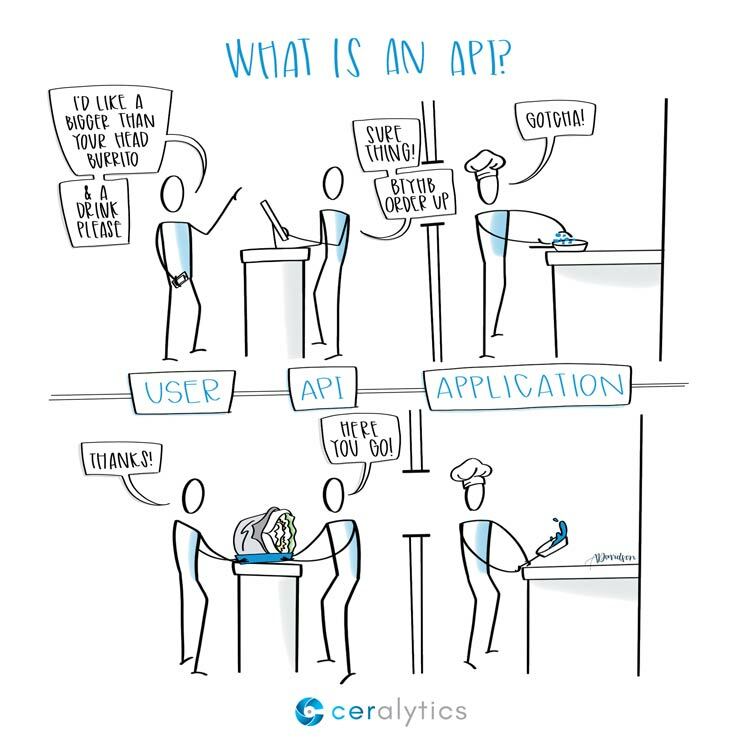 What is an API? How Does It Work? In marketing, you’ve surely heard the term API thrown around here and there. Nearly every marketing application has some kind of API in it. To be a data-driven marketer, understanding at least the basics of what an API is has become fundamental. 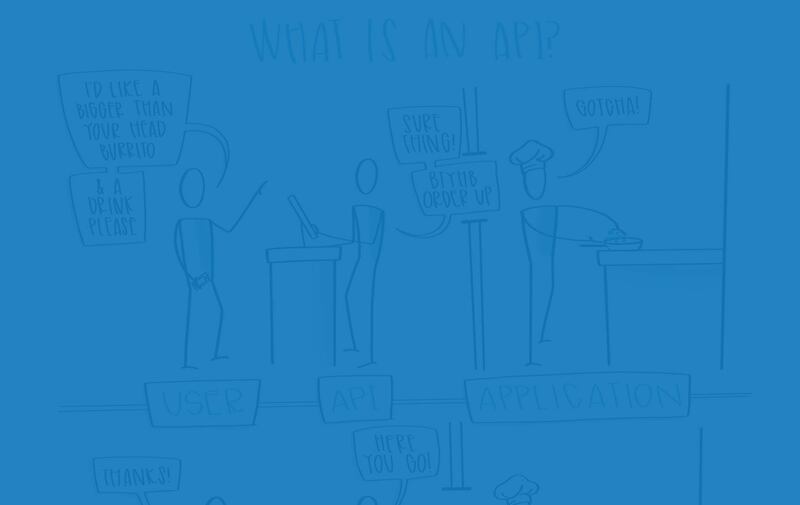 Let’s dig into what an API is and how it works – in plain English. An API, or application programming interface, is simply a way for different applications to talk to each other. 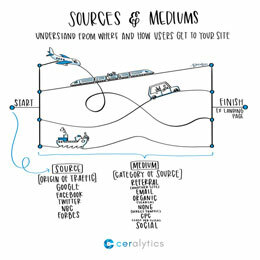 APIs are essential to marketing because marketing software taps into many different data sources to pull information. API’s enable an application from one company to feed information to another company’s application. And they do this all behind the scenes – outside of the view of the user. Before APIs this information could not be easily requested and served up from application to application. Usually, it would all have to be done in one HUGE application. That was massively inefficient. Thanks to APIs, companies can request just the data they need from another application, implement it into their own software, and feed you the results you need. In the sketch above, you can see that an API request consist of three basic parts: the user (which could be another application) that asks for something, the API that takes the order, and the other application that does all of the busywork to make the order. The user, doesn’t need to have all of the ingredients nor a kitchen to order a burrito at a restaurant. It just picks out the burrito it wants from the menu and tell the server what it wants. The server then translates that request to the chef. This is what happens when a user requests information from an API. The user asks the API for specific information, which the API then requests from the application. Once the request is in, the chef (application) starts making the burrito. It has all of the resources it needs to make you a Bigger Than Your Head Burrito. It makes the burrito in the background, and when it’s done, it hands the fully cooked and assembled burrito back up to the server (API). The server (API) then hands the user the Bigger Than Your Head Burrito that it ordered. That’s basically how all APIs work. You pick the data you want, you send a request, the API handles the request, the application processes it, and then the API hands you back the information you requested. APIs revolutionized digital marketing. They allowed marketing automation systems to sync with CRM systems. They are the foundation of many SEO platforms and reporting platforms. And they are a cornerstone to nearly every social media platform. As a marketer, you probably use dozens of APIs every day. To be a data-driven marketer, APIs are essential. Understanding that you can send information to and from your favorite marketing applications opens up a lot of opportunities to streamline and optimize your marketing operations. Look at the data you use on a daily basis. Would it be helpful if some of these applications talked to each other? For example, would it help if your CRM could talk to your sales people’s calendars? Or if your marketing automation system could sync up with your project management software? There’s no end to the possibilities, but understanding that there are possibilities is the first step. Hopefully, understanding a little more about how APIs work unlocks some creative ideas for your team.